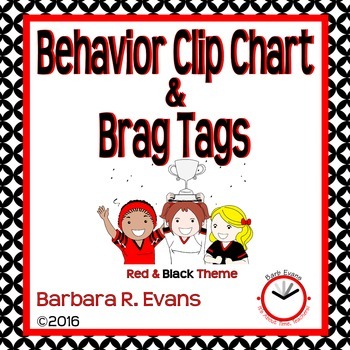 Classroom Behavior Clip Chart: Red & Black Edition is perfect for your red and black themed classroom. 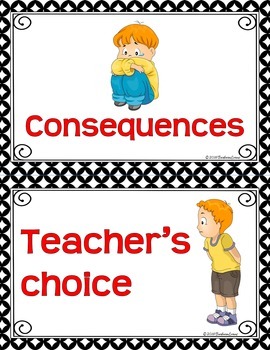 The behavior clip chart consists of 7 signs that allow your students to track their behavior. 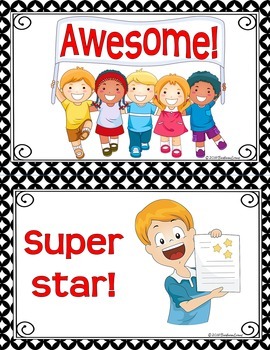 Editable name badges are included for clipping your students’ names or numbers to the chart. Attach them to mini-clothespins and you are all set! Pair the clip chart with tags and you have a great recipe for creating a well behaved class. There are 42 tags provided. They are presented in color and gray scale. Because the primary purpose is to reward positive behavior, the majority are behavior tags. 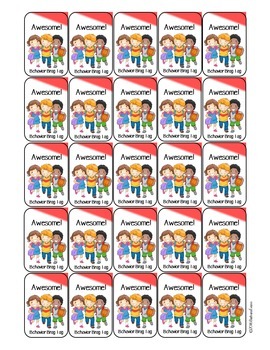 Academic tags are included to encourage and reward hard work and scholastic success. Event tags recognize just a few events that are important to children. Common holidays are not included. However, editable pages are included for each type of tag, thus allowing you to supplement this supply as you wish.